Trajectories » Meet the Delivery Dream Team! Meet the Delivery Dream Team! We are excited to announce that we will be participating in an experimental program that places mothers and babies in the precise, yet caring hands of baby delivery robots. These highly skilled Japanese robots, working closely with our doula, will make the baby’s transition into our world as comfortable as humanly possible. 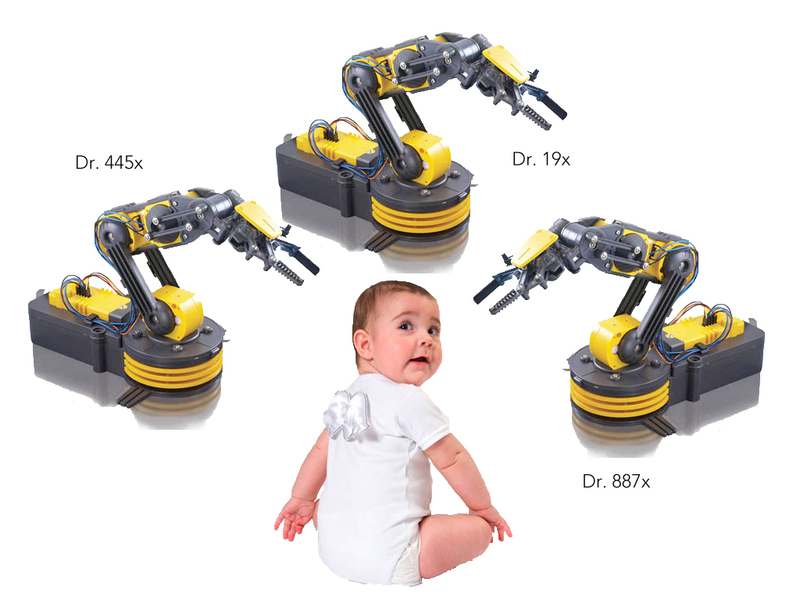 While Dr. 19x has less experience with autonomous operation during human birth, doctors 445x and 887x more than make up for it. We are grateful for their assistance! According to the central computer, we have 7 days, 0 hours, 29 minutes and 15 seconds until birth. It’s coming right up! Chris, We never told you but your own birth was part of the Alpha testing for bot delivery… because of…the problem. They were still tweeking the grasp strength feedback and well..let’s just say a newborns head is very soft. Mom and I agree that you have generally compensated very nicely.